One of the downsides to living in a small space is how cluttered it can become, especially for people who like everything in its place. If you have a tendency for perfectionism, you know that the gold standard in home decoration is furniture that you can click neatly into position! Luckily, you're not alone. 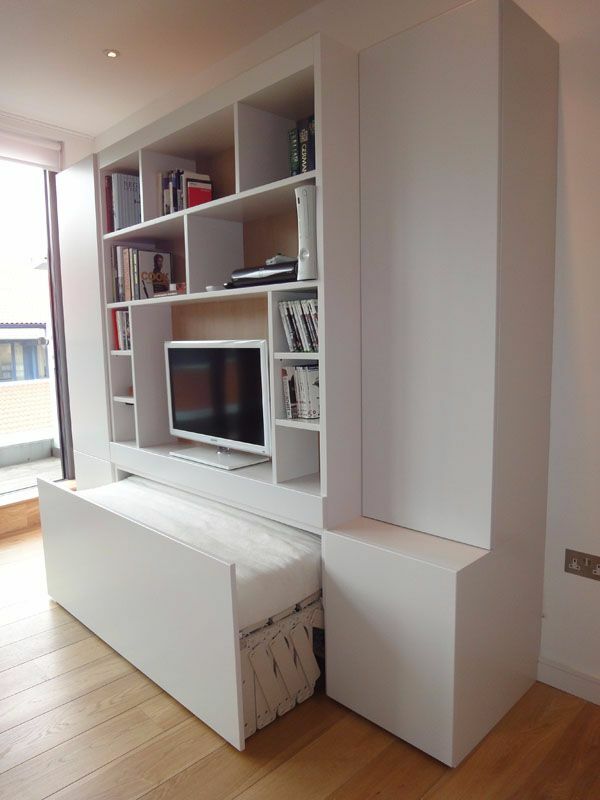 Designers know how satisfying it is to have furniture that fits exactly where you want it to, and in some cases, they've exceeded our highest expectations! If these 10 pieces of furniture don't make your inner perfectionist jump for joy, then nothing will. The Flux folding chair by Expand Furniture is genius. Made from polypropylene, the chairs weigh 11 lbs and are only 5/8" thick when folded. They're easy to store, and even easier to unfold into a stunning seat at a moment's notice! 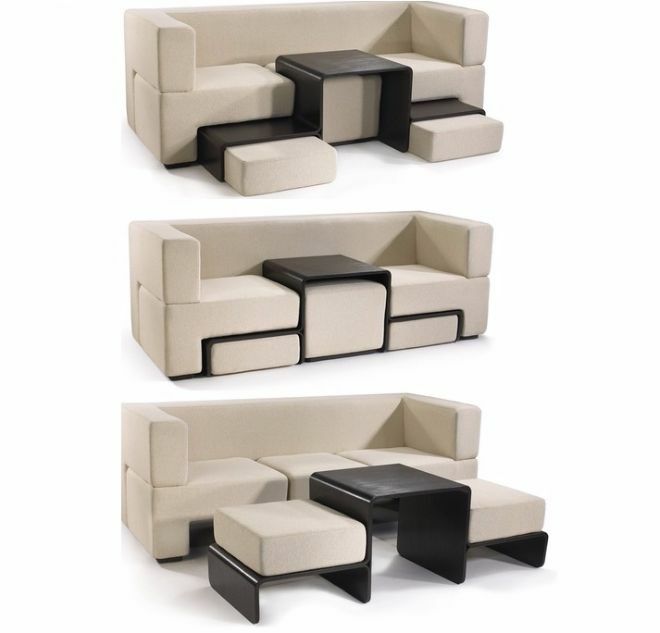 Designed by Boston architect Matthew Pauk, this dynamic piece of furniture is a 3-in-one sofa, ottoman, and coffee table. Even better, the cushions on the ottoman are magnetized to ensure they never slip out of place. Pauk must know what it's like to be a perfectionist! This clever design by Orla Reynolds is almost magical. 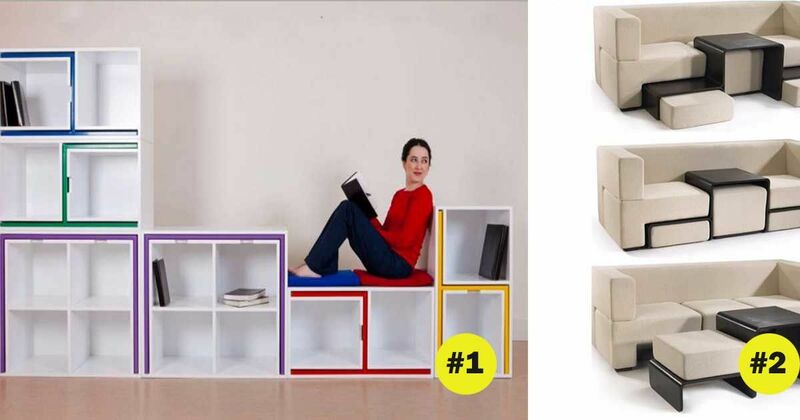 It consists of 6 separate bookcase units that can be arranged into any number of unique configurations, or even split up into different rooms. When you need a place to sit and eat, just pull the out the brightly colored chairs and tables that are tucked away between the shelves of the bookcase. 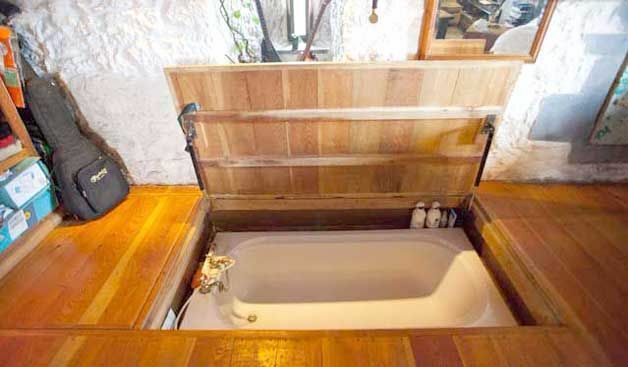 An Airbnb host named Peter built this custom bathtub in his refurbished Irish castle, and it's amazing. For those of us who love baths but hate crowded bathrooms, there's nothing more satisfying than a tub you can tuck away under the floor! 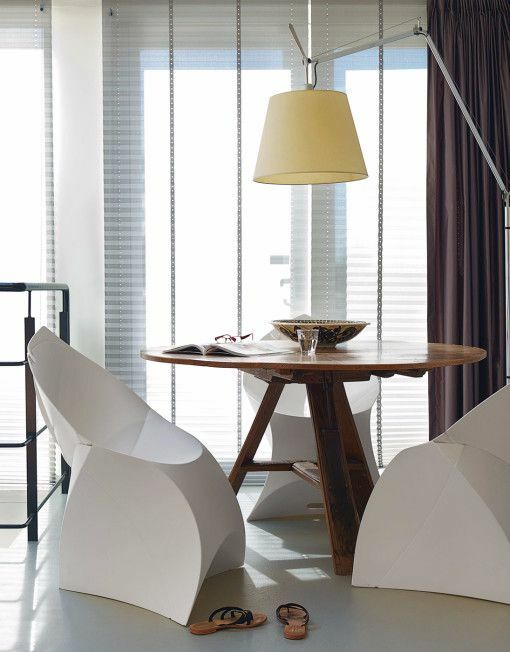 Seen on Treehugger, this table designed by Marta Antoszkiewicz doubles as modern art. 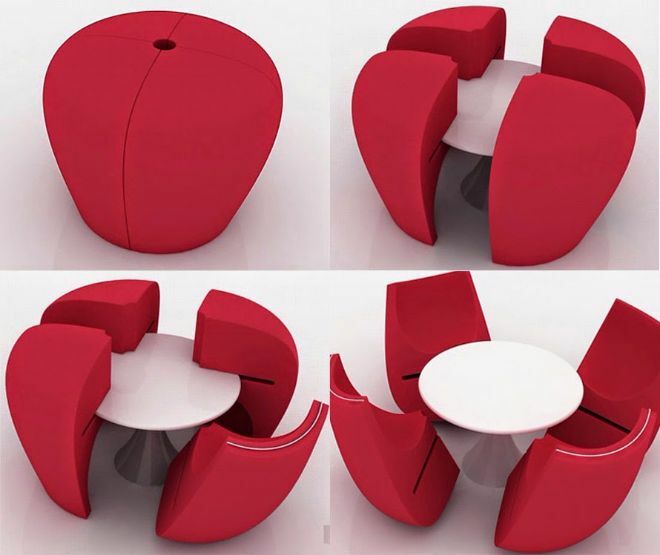 When not in use, the chairs can be flipped upside down and pushed in on each other to create a perfect red bulb! This solid wood bed by Suite NY is exactly what you need for when guests come over. It's a double bed when you need to accommodate two people, but it easily stacks to become a single bed when you want more space. If you've ever been inexplicably annoyed that your dresser breaks up the nice straight line of your bedroom wall, this one's for you. 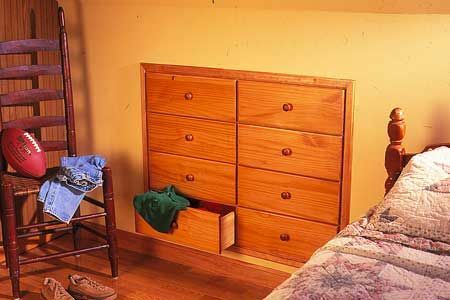 Make it yourself using this tutorial from This Old House. This clever little product does almost everything, and it only sticks out 5" from the wall. It has an iPod dock, a charging station, and a place to store mail and files. 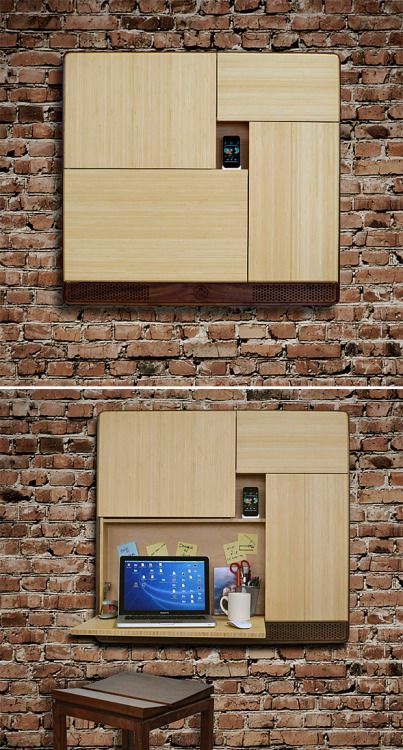 It even serves as a desk that can be folded up when not in use! You can buy it from Ruphus. 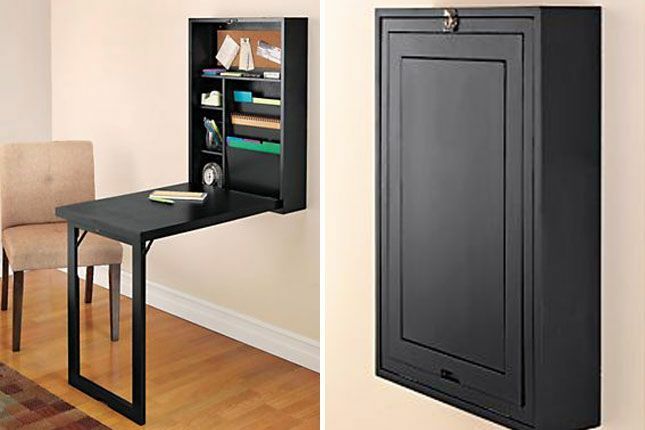 Designed by Solutions, this does double duty as a desk and a sleek wall cabinet. The shelves and hooks inside will keep all your stuff organized, and the way it folds in on itself is oddly satisfying! The Concealed Bed Company Ltd. 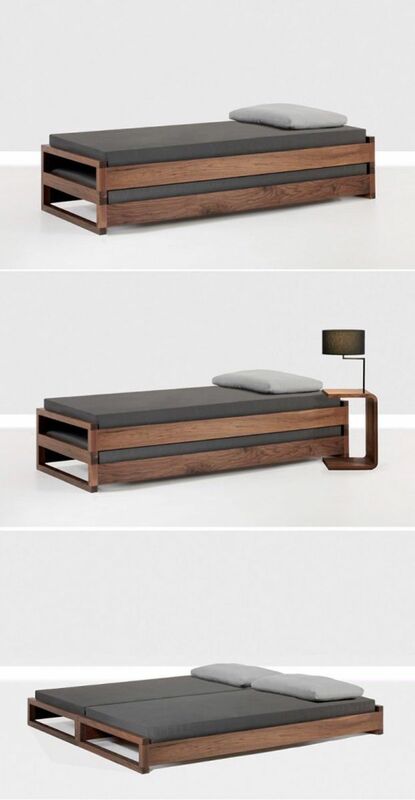 This isn't your standard pullout bed! Thanks to some clever German technology, this mattress can actually curve and crawl up and down the wall at the touch of a button. When it's tucked away, you would never even know it's there. You can get it from The Concealed Bed Company Ltd.